Want to find out more about the biggest city in the South Pacific, Suva Fiji? Discover all you need to know, including must-do's, of this charming capital of Fiji. it's an important regional centre and thus international students and the expatriate community forms a sizable part of the population. My guess is the temperature is warm and in the 20's! Before you start proclaiming me a psychic, as the graphs will show below, Suva maintains average temperatures of somewhere between 20°C and 29°C all year round. Be sure to visit our hub Fiji Weather section, for all things related to weather in Fiji. It includes sections in both Celsius (°C) and Fahrenheit (°F). Just in from the east coast of Suva, parallel is Victoria Pde which runs onto Thomson and Renwick Streets. This is the hub area and where you head if in doubt. Refer to the map below. Visit the government site at http://www.fiji.gov.fj/Government-Directory/Embassy-And-Consulates.aspx. Visit the 5 Things to See in Suva page for the lowdown. 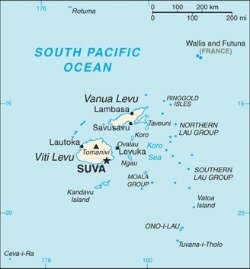 Also on the page you will find the Suva Google map which will help with your navigation. If you are staying overnight in Suva, then here's your choice on our Hotels in Suva (part 1) and Hotels in Suva (part 2). Check out how to get around the Fiji capital on our Fiji Capital Transportation page, with a google map of Suva to boot. 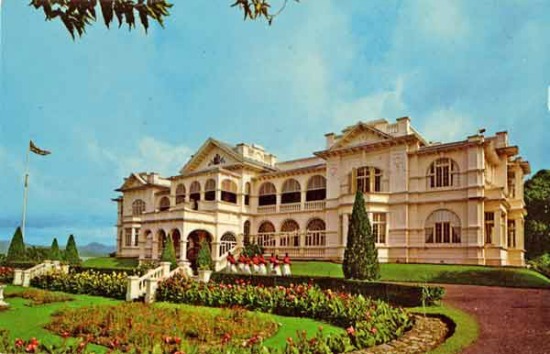 Explore Suva's history starting from the capital being relocated from Levuka, to the colonial days, to the staging grounds of the recent coups. 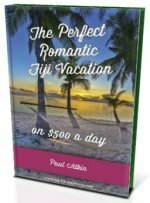 Read up at the History of the Capital of Fiji page.